Summer is officially here and I couldn't be more excited! Instead of serving the most beloved, yet hated for our waistline potato or pasta salad this 4th, how about a super nutritious and delicious Kelp Noodle Salad? I love this fresh and light dish for lunch, dinner, and I even bring it to friends barbecue to be sure I have something healthy. And since I am in the business of health, I love sharing it with you! 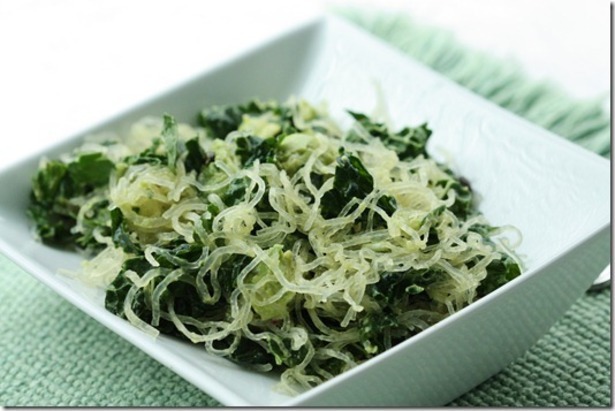 Kelp noodles are loaded with digestive and metabolism boosting nutrients! Also, they help with thyroid function, strengthen bones and teeth, and improve your circulatory system, among other things. Kelp noodles are a raw food with a neutral flavor, can be eaten warm or cold, are low in carbohydrates, calories, and gluten and sugar free. 1. Combine noodles, lemon juice, garlic, olive oil and kale together and massage using your hands to break up noodles and to loosen up the kale. 2. 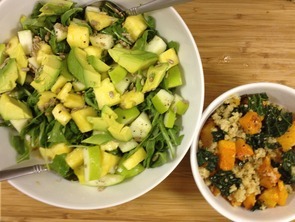 Top with spinach, avocado, salt, pepper and lemon zest. 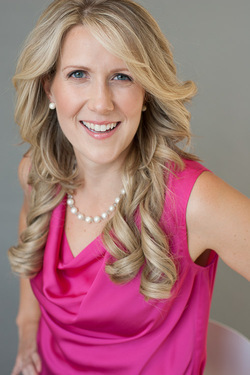 Samantha Lynch, MS, RD, CDN, is a registered dietitian who caters to everyone from engaged couples, pre-post natal woman, athletes, celebrities to students and stay-at-home moms. 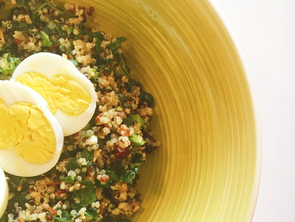 Based in Manhattan, she holds a Master’s Degree in Clinical Nutrition from NYU. After graduating in 2009, she started her own nutrition counseling practice to fulfill her dream of helping people live longer, happier and more energetic lives without compromising their social schedule. Samantha has been featured as a nutrition expert in Cosmopolitan Magazine, Refinery29, Shape.com, The Daily Meal, & OK TV and was also featured as herself in a national Boost commercial airing in both the US and Canada. Samantha is an active member of the Academy of Nutrition and Dietetics and Greater New York Dietetic Association. She lives in Manhattan’s Union Square with her husband Roger, 3 year old daughter Lucy, and is expecting Baby #2 in July 2014.